I first heard of Chocolate Therapy on Chronicle, a Boston based news magazine television series. Then, I saw the shop's owners, Dave and Pam Griffin, featured on the Phantom Gourmet, a New England food review program. So when Jen at Blog and Tweet Boston, organized an event, #BloggerChocolateTherapy, giving Boston based bloggers the chance to sample Chocolate Therapy's artisanal chocolate paired with wines specially chosen to heighten the essence of the chocolate's flavors, I said, "Yes, please." Chocolate Therapy owners, Dave and Pam Griffin, welcomed us with a glass of wine, a tour, and some information about how their business came to be. We met at the company's Framingham location, conveniently located on Route 9 East, in the Legal Seafoods plaza. Chocolate Therapy specializes in Belgian chocolate truffles. They add therapeutic ingredients to some of their truffles, such as cayenne, cinnamon, ginseng, and ginger. According to Dave, they tried to imitate the European flavor profile. Nothing, he says, is overly sweet. And this fusion of herbs and spices makes these sweet remedies fairly guilt free...a prescription for joy and happiness. In the mood for coffee? Think mocha. Or ice cream? They have that too. 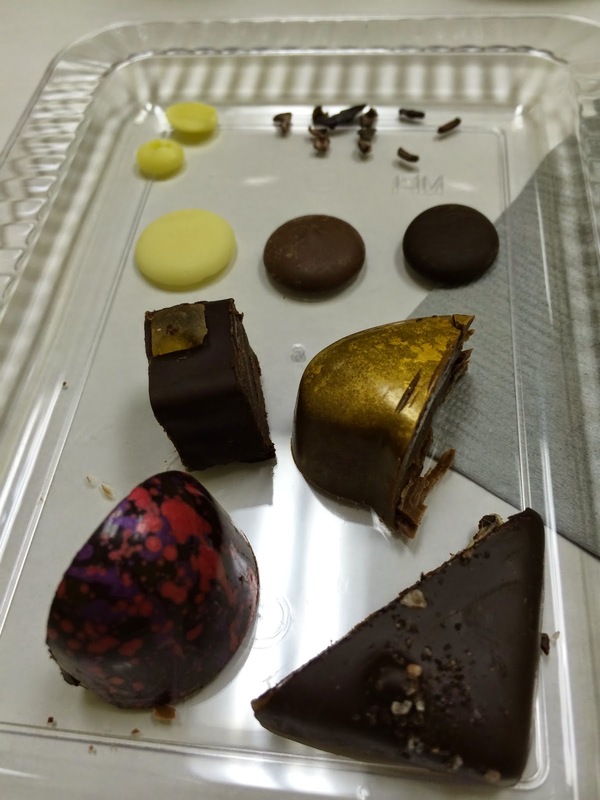 Our tasting began with Dave, who walked us through the journey of chocolate, from pod to palate. milk, and dark chocolate and our tasting truffles. 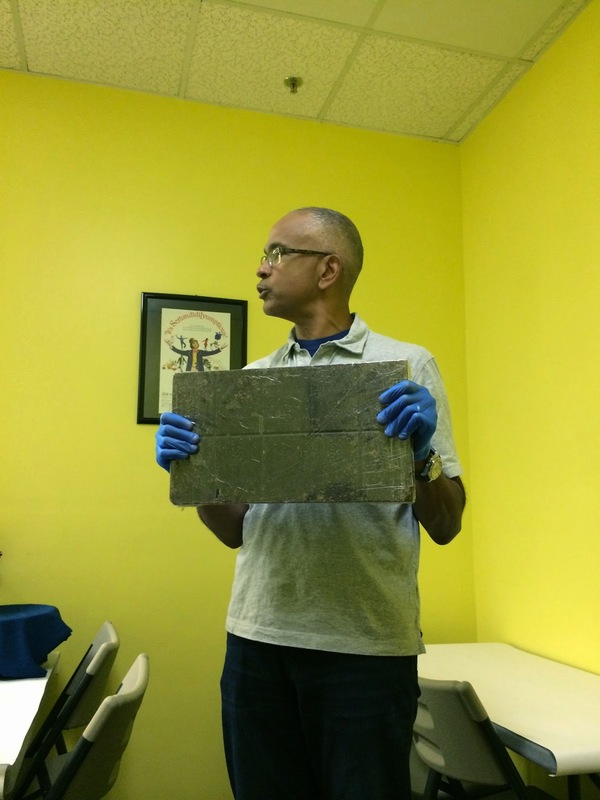 Chocolate, reportedly, is about 6,000 years old, but the first records of its use surfaced about 2,000 years ago in Latin America, for food, drink, and currency. After the Spanish conquered the Aztecs in the 16th century, chocolate was brought back to Europe. and it takes about two trees worth of pods to make one pound of chocolate. Today, 70% of the world's chocolate comes from Western Africa; in fact, cacao makes up about 30% of the Gross National Product of Ghana, and 85% of the world's chocolate comes from small family farms. And all chocolate is grown within an eleven mile band of the Equator. When it comes to chocolate types, it's not about where the chocolate is made, but how it's made. The percentage of cocoa butter to cocoa liquor is the determining factor. Swiss chocolate has more coco butter, so it's creamier, where as Belgian chocolate has less. And white chocolate? Not chocolate at all...just cocoa butter with added milk, cream, and sugar. Dave, holding a bar of Belgian chocolate, which will later become truffles. Following the "informative portion of the program," Pam began the wine and chocolate pairings...four decadent truffles and their accompanying wine suggestions. We began with a dark chocolate ganache lemon lavender truffle, topped with crystallized lemon peel, that was paired with a California Alfresco sauvignon blanc. 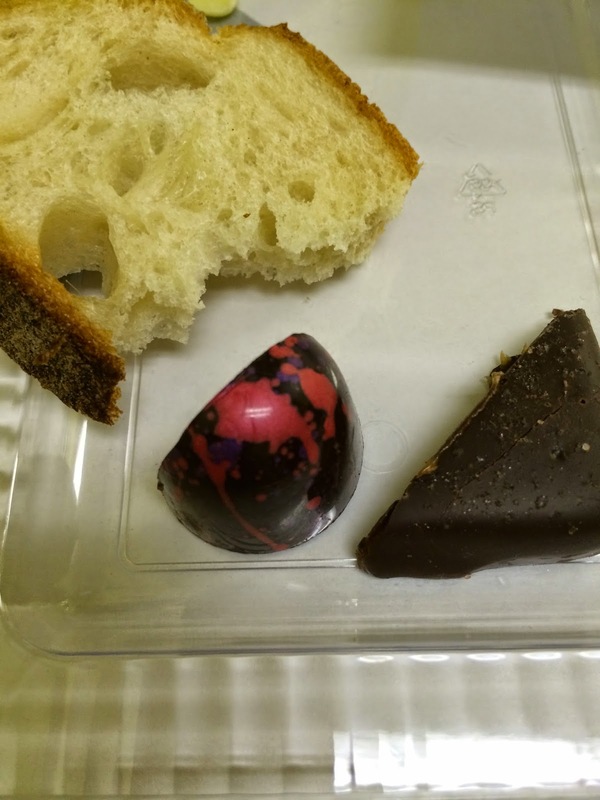 Next, we cleansed our palate with some bread and moved on to a milk chocolate ganache truffle in a gold-dusted cocoa butter shell, paired with a peppery California Vintager Petite Syrah. Then, we cleansed again and tasted a dark chocolate strawberry balsamic truffle, filled with a strawberry and balsamic puree, paired with a California 90+ Cellars Lot III Pinot Noir. Finally, we sampled a true crowd-pleaser...a sea salt caramel...a buttery caramel flavored with Tahitian vanilla and sea salt, topped with Himalayan sea salt, paired with Quarles Harris Port, a 10-year Tawny port. Once our sweet tooth was sufficiently sated, to end the evening, Pam and Dave let us in on an exciting new project. 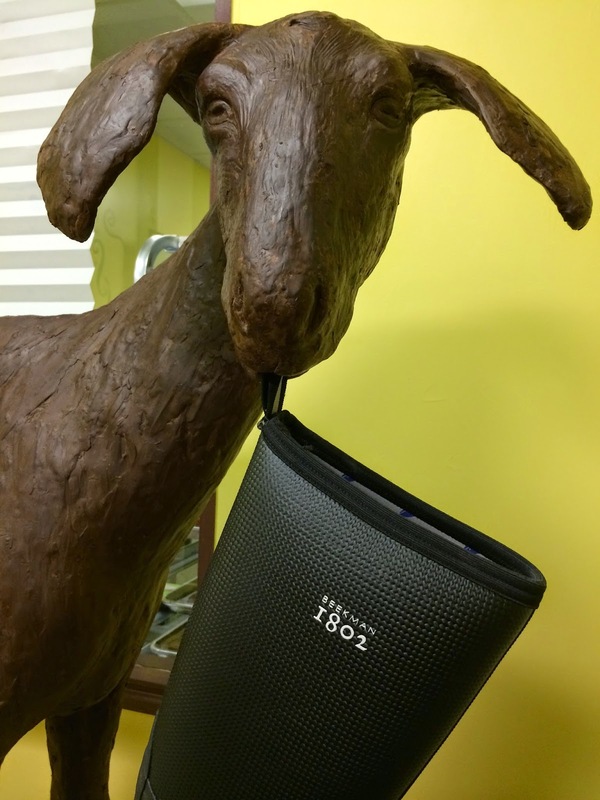 Partnering with Beekman 1802, Chocolate Therapy provided The Fabulous Beekman Boys with Boots, a 120 pound chocolate goat, in order to launch their goat milk fudge sauce line. And if that wasn't exciting enough, there's a new reality show in the works. According to Chocolate Therapy promotional materials, the new series is about the making of gourmet chocolate, and maintaining the sanity between the Beekmans, the chocolatiers, and Pam and David Griffin, themselves. In this pilot episode, the team creates what will become the world's largest chocolate goat for the Fabulous Beekman Boys (Beekman 1802) and a chocolate surprise for Supreme Court Justice Ruth Bader Ginsburg. Chocolate, wine, and a surprise meeting with fellow Boston bloggers, Kerry, from Till Then Smile Often, Kate, from Another Clean Slate, and Kerry, from Urban Foodie Finds. Time for a selfie with Kerry. And the best news is, you can have this much fun too. Whether you're looking for a birthday party locale, a book club meeting spot (reading Chocolat? ), a girls' night out, or even a date night for two, Chocolate Therapy has the night for you. 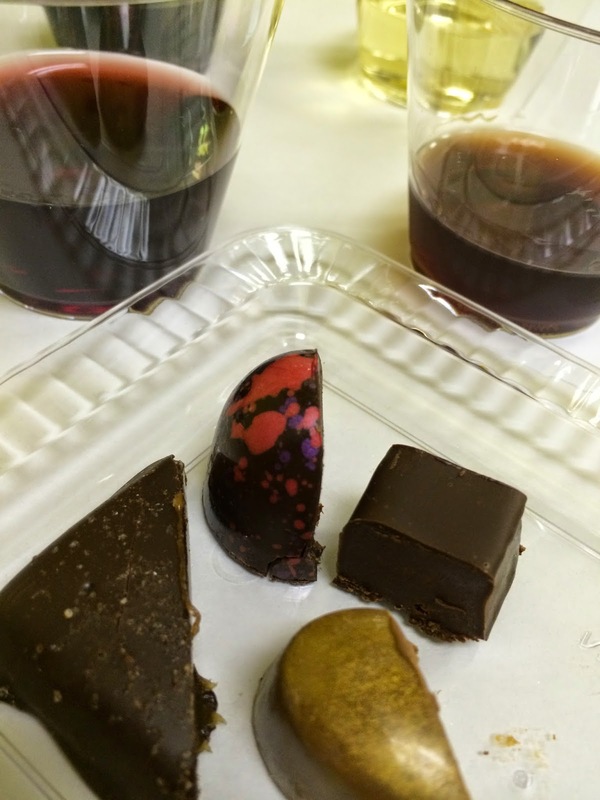 You can choose from a wine and chocolate pairing, like we had, or you can try a chocolate making class. And then you can take some goodies to go. 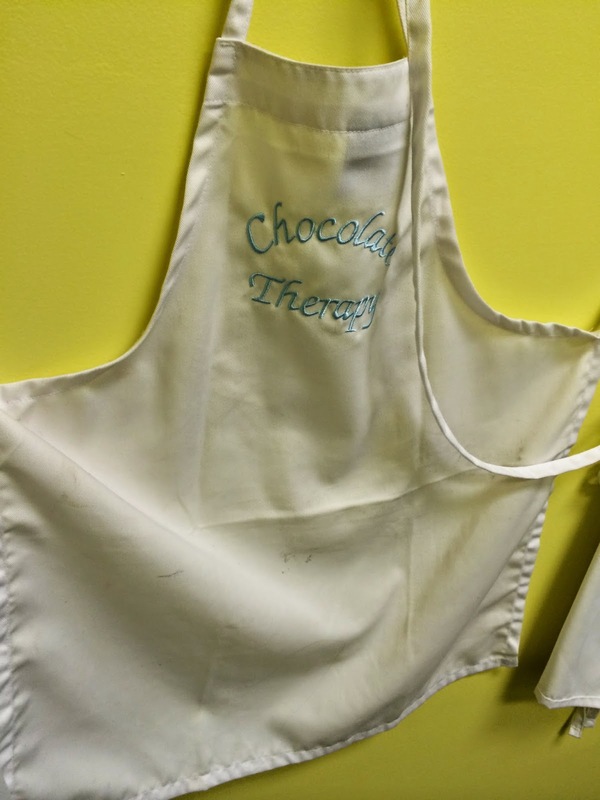 Chocolate Therapy has two locations, in Dedham and in Framingham, Massachusetts. You can find out more by visiting their website here. It was so, so good! And a really fun night out. A local gem, for sure. Thank you for stopping by, Felice. Chocolate - yes. Plus wine - oh my. I would have thought I had died and gone to heaven. Looks like a wonderful experience. It was so, so good! And a really fun night out. A local gem, for sure. Thank you for stopping by, Cathy! That looks like an amazing night! I'd totally watch that show. It was so, so good! And a really fun night out. A local gem, for sure. Can't wait to go back. It was so, so good! And a really fun night out. A local gem, for sure. Thank you for stopping by, Nancy! Indulge...it was so, so good! And a really fun night out. A local gem, for sure. Thank you for stopping by, Marlys. It was so, so good! And a really fun night out. A local gem, for sure. Thank you for stopping by, Jasmin! It was such a great night and you can't go wrong with Wine and Chocolate. I am for sure going back for gifts. Everything looks sooo yummy. I would've embarrassed myself eating as much chocolate as possible. All the varieties look beautiful and interesting. And the chocolate balls in the pill jars are such a cute concept! Have a lovely day. They were clever with the "therapy" theme. It's a great little shop. And such a fun night out. Happy Sunday! It was so, so good! And a really fun night out. A local gem, for sure. Thank you for stopping by, Ali. I didn't know you'd heard of them prior to going. It was so fun to have met in person!! It was such a fun night. I can't wait to go back. And hooray for meet-ups in real life. :-) So much fun. This looks fantastic! I am so jealous and now I want to visit. Wishing I had some chocolate right now. Yum! It was so, so good! And a really fun night out. A local gem, for sure. Thank you for stopping by, Kristin. Chocolate is my favorite food. What a fun night! It was so, so good! And a really fun night out. A local gem, for sure. Thank you for stopping by, Lana. 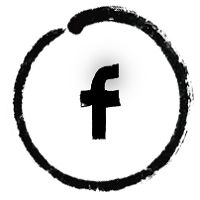 Hi Kelly, so enjoyed reading this Post last night! What a great story and the chocolate looks sensational. My preference is more Belgian, less sweet style, and it seems as if this fabulous small business locale are quite talented in the production of these choice lovelies. Thanks so much for sharing a great destination place for our next Boston visit! It was so, so good! I think you'll like exploring the many varieties of truffles. So many choices. So little time (and calories to spare). Happy Sunday! I would LOVE it there. Chocolate makes me very happy indeed. It was so, so good! And a really fun night out. A local gem, for sure. Thank you for stopping by! It was so, so good! And a really fun night out. I loved the history part too....fascinating. Thank you for stopping by, Vicky!